Nick Barisheff | BMG Group Inc.
For the past 20 years, Nick Barisheff has focused on the world of precious metals and the benefits available to investors who hold physical gold, silver and platinum bullion. 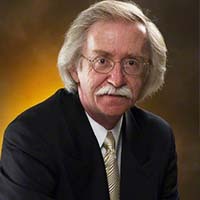 As president and CEO of BMG, he uses his understanding of the precious metals markets to develop strategies, products and services for clients looking to integrate bullion into their portfolios. His view on the precious metals sector is that gold, silver and platinum, in bullion form, are a vital component of a client’s financial program and should make up at least 10 percent or more of a well-diversified portfolio. In 2002, Nick launched BMG and BMG BullionFund, Canada’s only RRSP eligible open-end mutual fund trust that purchases equal dollar amounts of gold, silver and platinum bullion. Subsequently, BMG Gold BullionFund and the BMG BullionBars program were launched as part of the company’s growth initiative.The BMG Silver BullionFund was launched in 2016. Nick specifically designed all BMG products so they would not compromise any of the fundamental attributes of precious metals ownership: absolute liquidity, no counterparty risk, and no reliance on management skills. In 2011, BMG became an Associate Member of the London Bullion Market Association (LBMA). The only other equally accredited company in Canada is the Royal Canadian Mint, the Crown Corporation that produces Canada’s currency. Widely recognized as an international bullion expert, Nick has written numerous articles on bullion and current market trends that are published on various news and business websites. He has appeared on BNN, CBC, CNBC and Sun Media, and has been interviewed for many articles that have been published in leading business publications across North America, Europe and Asia. 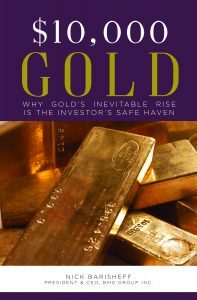 His first book, $10,000 Gold: Why Gold’s Inevitable Rise Is the Investor’s Safe Haven, is a must-read for investors interested in the concept of sound money, who will benefit from Nick’s insights into the portfolio preserving power of gold. Through BMG, Nick continues to develop products and services that allow investors of every level, from institutional to “do-it-yourself” individuals, to take full advantage of buying and holding uncompromised bullion in a diversified portfolio.